主要职责 Main Responsibilities? 指导和检查被分派的客房服务员的工作，确保产品质量达到酒店和公司的标准，为酒店客人提供卓越的服务。Supervises and inspects the work of assigned Room Attendants to ensure product quality standards are met and that optimum service is provided to hotel guests according to hotel and company business objectives.? 指导客房部各项标准和工作程序的施行.Supervises the implementation of housekeeping standards and procedures in relation.? 提供持续性的改进建议和培训需求。Recommends changes to these standards and training needs on an ongoing basis.? 对客房部所有系统有最新和完整的知识.Maintain a current and thorough knowledge of all housekeeping systems.? 负责管理接班和交班工作，以确保交接班过程的有效进行.Open and close the shift and ensure effective shift hand over.? 配合前台满足酒店和客人的要求.Liaise with Front Office for guest and hotel requirements. ? 和工程部协调客房的维护，并跟进坏房和锁定房.Liaise with Engineering for room maintenance and OOO/OOS follow up.? 协调特别项目(如客房参观、大清洁、盘点等).Co-ordinate special projects (e.g. site inspection rooms, deep cleaning, inventories, etc.)? 处理客人所有的特殊要求.Manage all special requests made by guests.? 确保对房型、布局和设施有全面的知识.Ensures to have complete knowledge of room types, layouts and facilities.? 保存充足的用品存货.Maintains adequate stock levels.? 按要求完成库存盘点工作.Completes stock takes as required.? 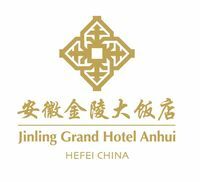 主持班次例会，确保了解酒店的活动和运营需求.Conducts shift briefings to ensure hotel activities and operational requirements are known. ? 主持培训工作，确保员工的工作表现.Conduct training and ensure the performance of the staff.? 对员工的工作表现作出评估，如必要采取纠正措施.Appraise the performance of staff and take corrective measures if necessary.? 如需要，指导并监督外包工的工作表现.Supervises and monitors the performance of outside contractors if required.